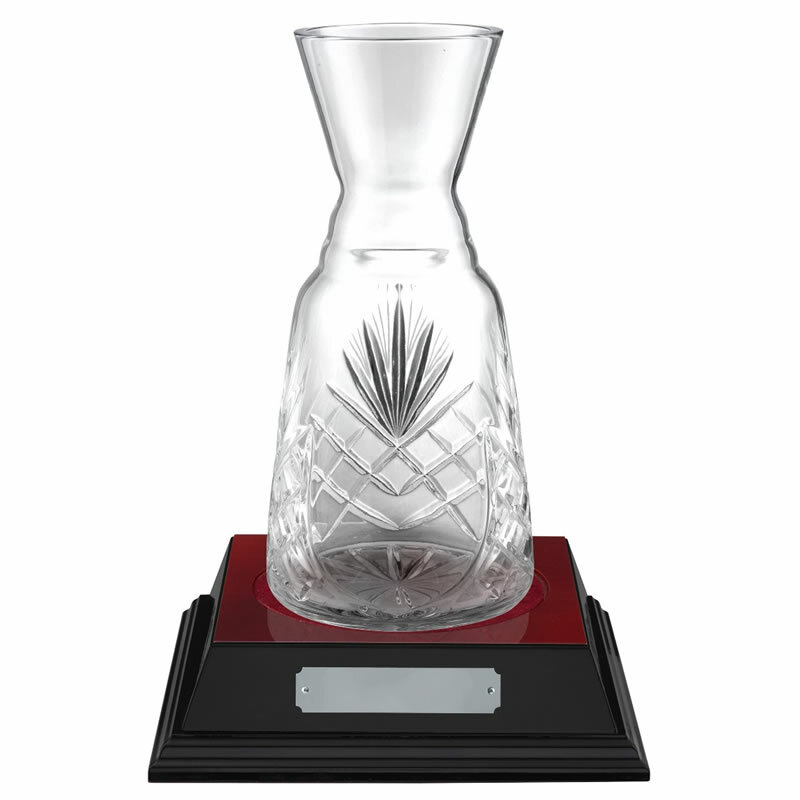 Superb presentation vase or jug, handcrafted in 24% lead crystal and standing 9.25in (235mm) tall. 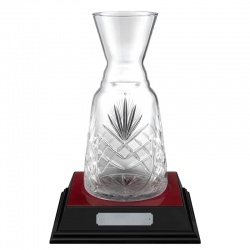 Features handcut decoration on the body with blank panel for engraving. Supplied boxed, offered with an optional recessed wood base with engraving plaque. 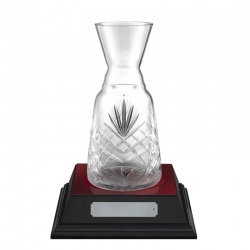 24% lead crystal vase with handcut decoration, 10.25in tall, optional wood base.